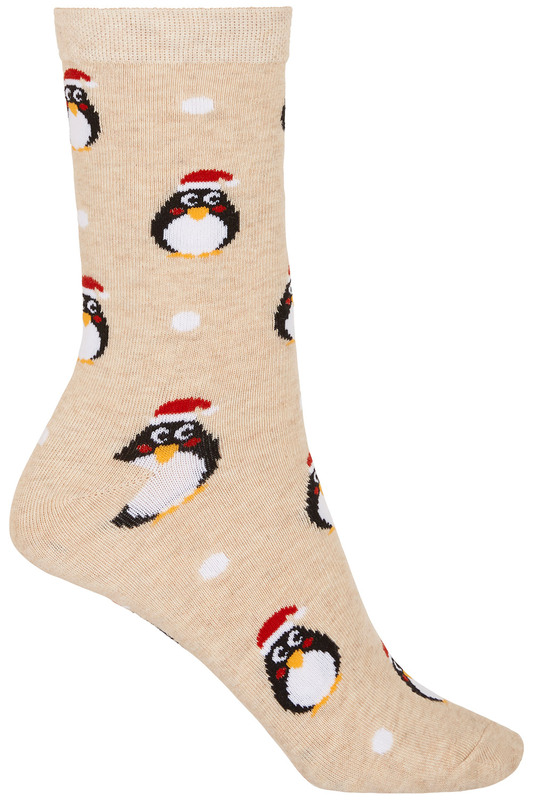 Feel festive from head to toe in these jolly printed penguin socks. 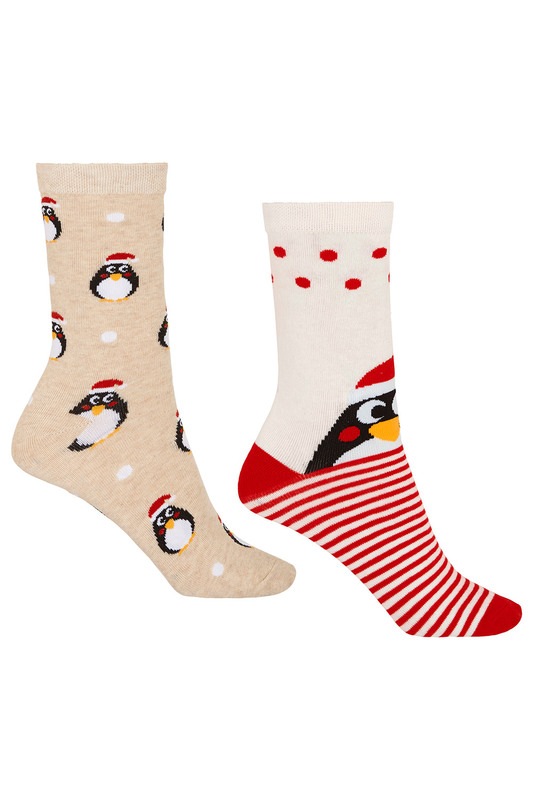 Each pack contains two pairs presented in a gift box made from a stretchy cotton-blend fabric, which makes them breathable and comfortable to wear. 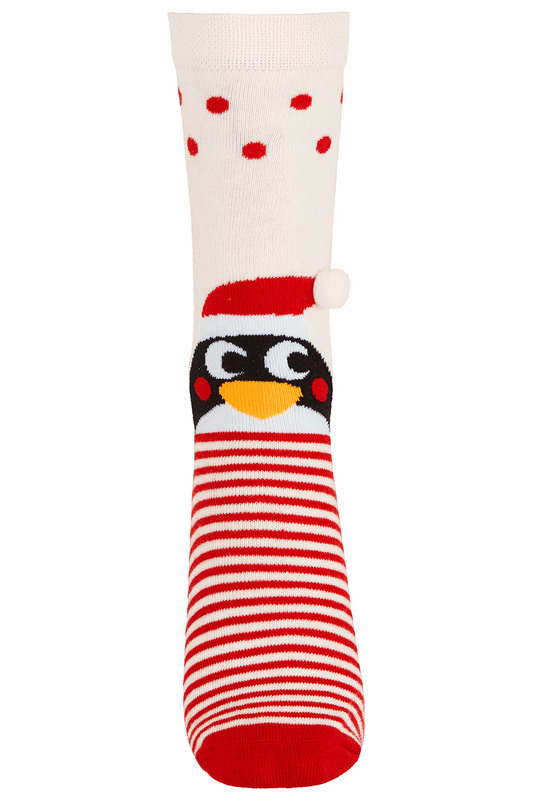 Swap between an all-over patterned design and a fun pair with a 3D bobble hat-wearing penguin. Each pack is presented in a gift box that makes them perfect for gifting. 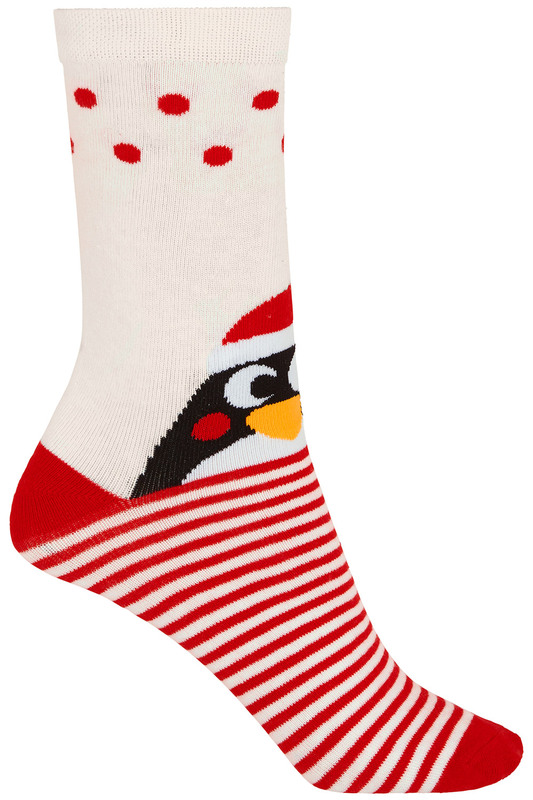 Pick a pack as a stocking filler: they come in sizes 4-8.